Estimates by Fischer and Shah (2010) suggest that the world has 446 million hectares of potentially available uncultivated land. Of this, sub-Saharan Africa accounts for 202 million hectares or 45 percent. Further qualifying estimates by Chamberlin et al. (2014) reflect that 47 percent of the 202 million hectares of potentially available uncultivated land in sub-Saharan Africa is less than 6 hours from the nearest market. Under a set of more relaxed assumptions, estimates of potentially available uncultivated land in the sub-Saharan African range from 52 percent (Deininger et al., 2011) to as high as 60 percent of the world’s remaining arable land. Regardless of methodologies and assumptions, sub-Saharan Africa remains the last frontier of larger land expansion for crop production in the world. However, much of this land is concentrated in just eight countries. 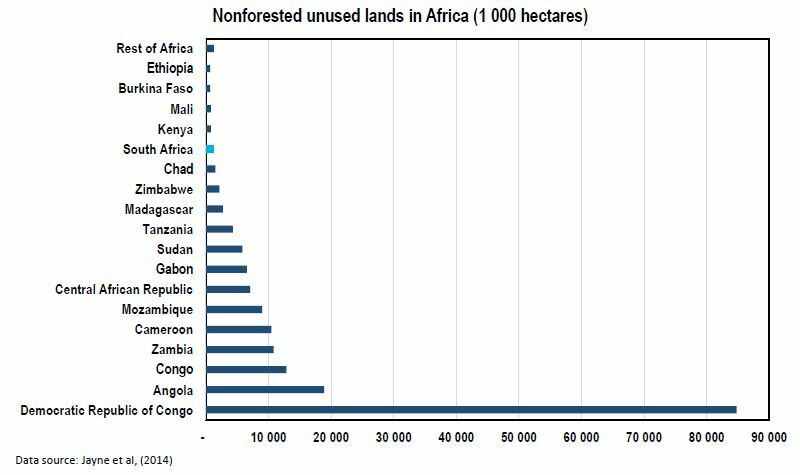 As much as 90 percent of sub-Saharan Africa’s unutilized arable land is located in just 6–8 countries (featured image). The rest of the continent is characterised by large rural populations clustered in remarkably small areas. Recent research suggests that many regions across sub-Saharan Africa’s most populous countries will soon exhaust their land frontiers (e.g. Uganda, Nigeria, highland Ethiopia etc.). Other parts of densely populated countries in sub-Saharan Africa have largely exhausted their potential already (e.g. Kenya, Rwanda, Burundi, Malawi etc.). This means that to expect production growth to come from area (or horizontal) expansion will be increasingly untenable in many areas across the African continent. Land use intensification, therefore, remains an important pathway, but sustainable intensification may not occur without more holistic and more effective public support for smallholder and even large-scale commercial agriculture. In an increasingly globalized but complex agro-food system, land availability per se is only but one consideration driving investment decisions. Also of importance are the land governance systems per country, and specifically tenure security considerations, as well as infrastructure provision, market considerations, access to and cost of finance, political arrangements and stability, local skills availability, and others. 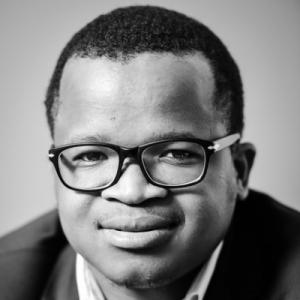 *Wandile Sihlobo and Tinashe Kapuya (PhD) are agricultural economists.